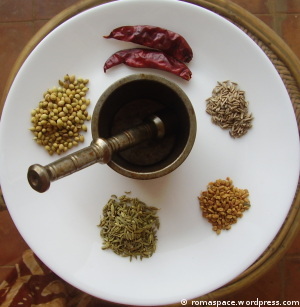 The best part is that once this masala is made, you wont need to spend too much time in making your sabzi. Moreover, this powder can be stored for weeks together. Its usually available in all stores but its hard to find something that matches the home-made one. Roast saunf, methi , jeera, dhania, red chilly till you get a crackling sound. Powder the roasted masala. To this add haldi powder, hing, Garam masala and salt. Mix this powder well and store in an air tight container. When you want to use this masala in your stuffed vegetables please add some amchur powder to it. We dont add amchur powder to the tawa masala while preparing it because that reduces its shelf life. Also, if the stuffed vegetable recipe contains tamarind in it then please skip adding amchur powder. Its impossible to make a type of tea that everyone will like. Some like it with more sugar, some with more milk, some want the tea leaves to be boiled more and others don’t want it boiled at all! It really amazes me that a simple thing like tea can be made in so many ways to suit so many people. However, masala chai is something thats a safe bet for all of us. It directs your attention towards flavors that unfold with every sip. Its interesting to note that tea has many medicinal properties as well. Masala chai is particularly helpful if someone has a cold. Dry roast the above ingredients and powder them. Store this powder in an air tight container. 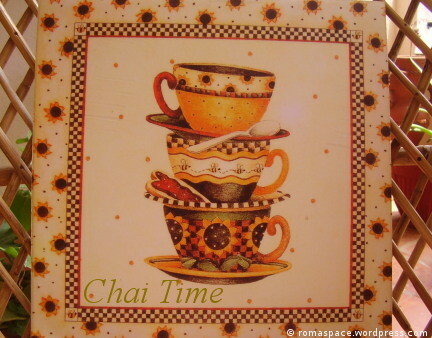 While preparing a cup of tea add a pinch of chai masala to the boiling tea water.